Suzanna Sherry is Herman O. Loewenstein Chair in Law at Vanderbilt Law School. Christopher Sundby is earning a joint JD/PhD in law and neuroscience at Vanderbilt University. 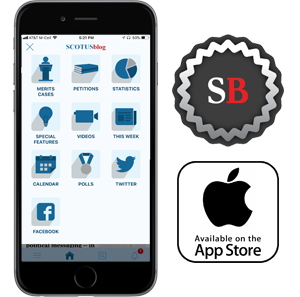 Should we impose term limits on Supreme Court justices? Many people, of varying political views, have suggested that we should. 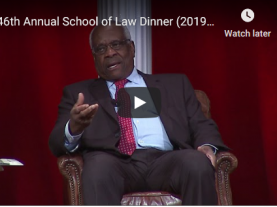 They argue that requiring justices to step down after a fixed term – the most common suggestion is 18 years – would give all presidents an equal opportunity to nominate justices, depoliticize the confirmation process and ensure that the Supreme Court is never too far out of step with the views of the American public. Whether adopting term limits would accomplish all of these goals is, of course, disputed. But is there any reason not to try it? In “Term Limits and Turmoil: Roe v. Wade’s Whiplash,” forthcoming in the Texas Law Review, we argue that there is a very serious potential downside to limiting justices to 18-year terms. A Supreme Court that welcomes a new justice every two years, and turns over entirely over the course of every 18 years, could wreak havoc on doctrinal stability. Under the current constitutionally mandated system of life tenure, the court changes slowly. Most justices serve at least 20 years and many serve 30 years or more; no new justices joined the court at all between 1994 and 2005. This longevity and stability means that doctrine changes slowly and incrementally. A constantly changing court, on the other hand, might make sudden and radical changes in doctrine. But is this a realistic fear? Our article tries to assess just how much instability an 18-year term limit would cause. We use a computer simulation to model what is likely to have happened to abortion rights after 1973 (when Roe v. Wade was decided) if term limits had been in place from then until now. We posit that the most senior associate justice, Justice William Brennan, would have had to retire in 1975, to be replaced by a justice nominated by then-President Gerald Ford and confirmed by the Senate as it was constituted in 1975. Two years later, President Jimmy Carter would have replaced Justice Byron White, and so on. As our hypothetical Supreme Court changes every two years, we predict whether a majority of justices would vote to retain Roe or to overrule it; if an overruling is predicted, we then predict in subsequent years whether a majority would vote to reinstate it (and then whether it would be overruled again, reinstated again … you get the idea!). To model each new (hypothetical) justice’s vote, we rely on four things that most scholars believe influence judicial decision-making: the party of the nominating president, the party composition of the confirming Senate, the individual justice’s likelihood of voting in line with the nominating president’s ideology (“loyalty”) and the individual justice’s level of deference to precedent. For the first two factors, we rely on actual historical data about the presidency and the Senate; we assume that Republican presidents and senators prefer a justice opposed to abortion rights and that Democratic presidents and senators prefer a justice who favors abortion rights. For loyalty and deference to precedent, we discuss three different values for each variable (low, moderate and high levels of loyalty; and no deference, weak deference and strong deference to precedent) and present the results of five of the nine possible combinations. Using all four factors, we assign to each justice a probability that he or she will vote to retain the status quo at the time (either Roe or its previous overruling). So, for example, if we assume that justices are moderately loyal and do not defer to precedent, a justice appointed by a Democratic president with a supermajority of Democrats in the Senate has an 85 percent probability of upholding (or reinstating) Roe, a justice appointed by a Democratic president with a Democratic Senate has a 75 percent probability of upholding (or reinstating) Roe, a justice appointed by a Democratic president facing a Republican Senate has a 65 percent probability of upholding (or reinstating) Roe, and a justice appointed by a Democratic president facing a supermajority of Republicans in the Senate has a 55 percent probability of upholding (or reinstating) Roe. The numbers are inverted for Republican presidents, from a 15 percent probability of upholding (or reinstating) if the Senate has a supermajority of Republicans to a 45 percent probability if it has a supermajority of Democrats. More loyal justices are assumed to be 10 percent more likely, and less loyal justices 10 percent less likely, than their moderate brethren to follow the president’s ideology. 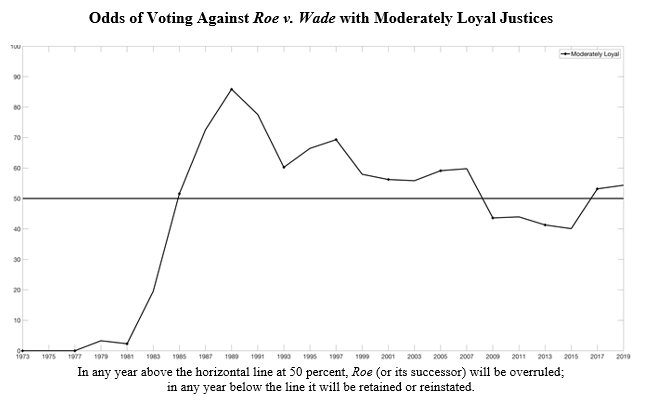 For example, a more loyal justice appointed by a Democratic president with a Democratic supermajority has a 95 percent probability of upholding (or reinstating) Roe, and a less loyal justice appointed in the same situation has a 75 percent probability of doing so. Similarly, positing a weak deference (rather than no deference) to precedent tilts every justice by 5 percent in the direction of the status quo, whatever it happens to be at the time, and a strong deference tilts it by 10 percent. To get all the assigned values, you can do the arithmetic yourself, or you can read the article. What we end up with, then, is a monstrous problem of how to aggregate nine different individual probabilities to predict every two years the probability that a majority of justices would vote to change the status quo. Luckily, there is a ready-made tool: Monte Carlo simulations. Essentially, for each newly constituted Supreme Court we fed a computer the probability assigned to each justice (derived from the four identified factors). The computer relied on those probabilities to create 10,000 hypothetical Supreme Court “decisions” – sort of like asking a computer to simulate 10,000 coin flips, dice rolls or card deals (hence the name “Monte Carlo” simulation, a reference to the uncle of one of its creators who liked to frequent the Monte Carlo casino). We used the results of all 10,000 “decisions” to identify the bottom-line probability that a panel made up of those nine justices would reverse (or reinstate, if it had already been reversed) Roe. For statistics buffs: Votes were drawn from the binomial distribution and several simulations were run using 100,000 trials to test robustness. The results were nearly identical. And what did we find? Roe suffered whiplash. Positing moderately loyal justices with no deference to precedent, Roe would have been overruled in 1987, reinstated in 2009 and overruled again in 2017. 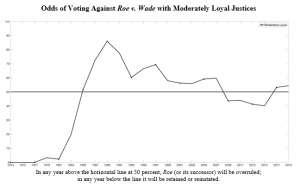 Changing the loyalty level did not change the net number of reversals, although it did change the probabilities: Positing more loyal justices made the two overrulings and one reinstatement more probable, and positing less loyal justices made them less probable but still more likely than not. Adding deference to precedent ameliorated some of the instability, but assuming that justices will uphold precedent is inconsistent with the primary justifications for imposing term limits. The point of term limits is to give presidents an equal chance to influence the Supreme Court and to keep the court’s views in line with a majority of Americans; those goals can only be accomplished if justices are not hesitant to overrule existing precedent. Precedent thus may bring doctrinal stability, but at the potential cost of the very democratic responsiveness that makes term limits appealing to many proponents. In addition, deference to precedent is always lower in constitutional cases because Congress cannot override constitutional decisions. Finally, studies suggest that lower courts – the final arbiters in most cases – are more likely to defy Supreme Court precedent if the current court is ideologically distinct from the precedent-creating court, even if the Supreme Court itself is unlikely to overrule the precedent. For these reasons, we think that the no-deference models that predict three swings of precedent in 46 years are the most plausible. In the end, then, term limits are likely to have a substantial detrimental effect on doctrinal stability. A case could go from being a sure winner to a sure loser over the course of a single election. And that doctrinal instability would likely alter the nature of jurisprudential evolution and change the focus of litigants, policy makers and lower-court judges from doctrine to the court’s composition, further politicizing the court. Although there may be good arguments for term limits, we should think long and hard about these dangers before considering such a major change to our judicial system.